I don’t know whether to say that Christmas doesn’t quite feel the same any more, or it’s just that the mechanics around it have changed. That we have to work through it and that we have to fund our festivities. Gone are the days for long holidays that you spend in the house during this season as you engage in movie marathons, sleep, eat, shop for new clothes and waiting eagerly wait to be gifted by your parents. Well, when we used to say we want to grow up, someone should have broken down what the term “growing up” entails, most don’t include the Christmas part, which I think was a very huge part of our childhood – it was a special time that you could get away with anything. Now if only our bosses allowed us to continue with that craze. That remains a wish. As we celebrate, let’s not forget that the reason we have this beautiful holiday is because it’s Jesus’ birthday. Don’t forget to say a little prayer. We’re alive today by God’s grace and all glory and honor of course goes to him. Thank you family and friends for making 2014 a memorable year. 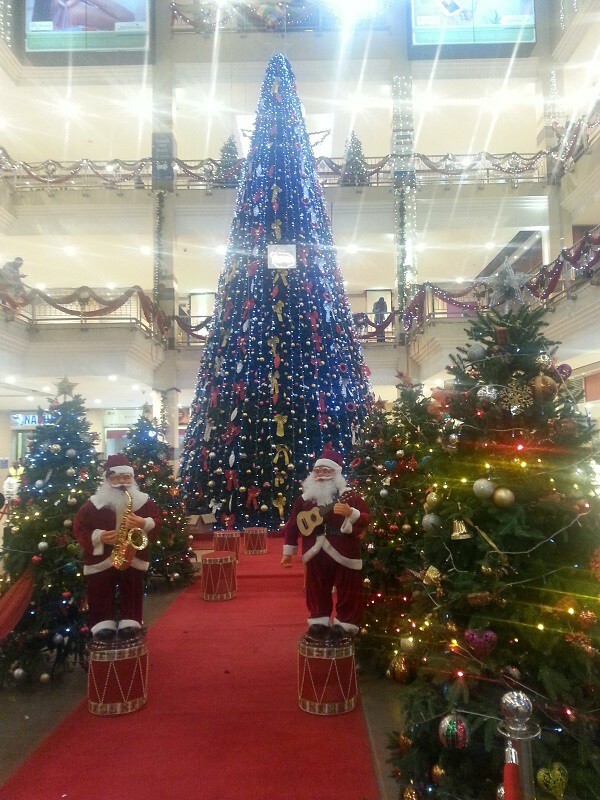 Thanking TRM (Thika Road Mall), for reminding me that Christmas is around the corner every time I visit (which is like every other day) from November. At least they set the Christmas mood early, smart chaps! It has a direct effect on your purchasing habit – not so good for the wallet. I would like to wish you and yours an absolutely amazing Merry Christmas. Let’s have presence over presents. But, if you can get presents, don’t let that moment pass. For what’s Christmas without some pressies. Let me go and make merry now!